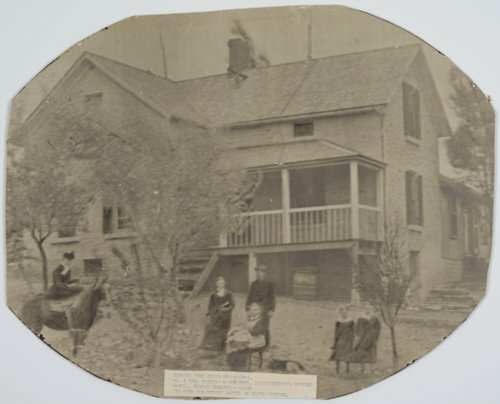 Photograph of the Sebring house located south of Halifax in Wabaunsee County, Kansas. Members of the family include Myron Sebring, his wife, Louisa Sebring, their children, Ina Sebring Young, Eva Sebring Wagnor, Maggie Sebring Gardner, Minnie Sebring Kraus, and Elmer Sebring. The home was later bought by Clyde Gardner.